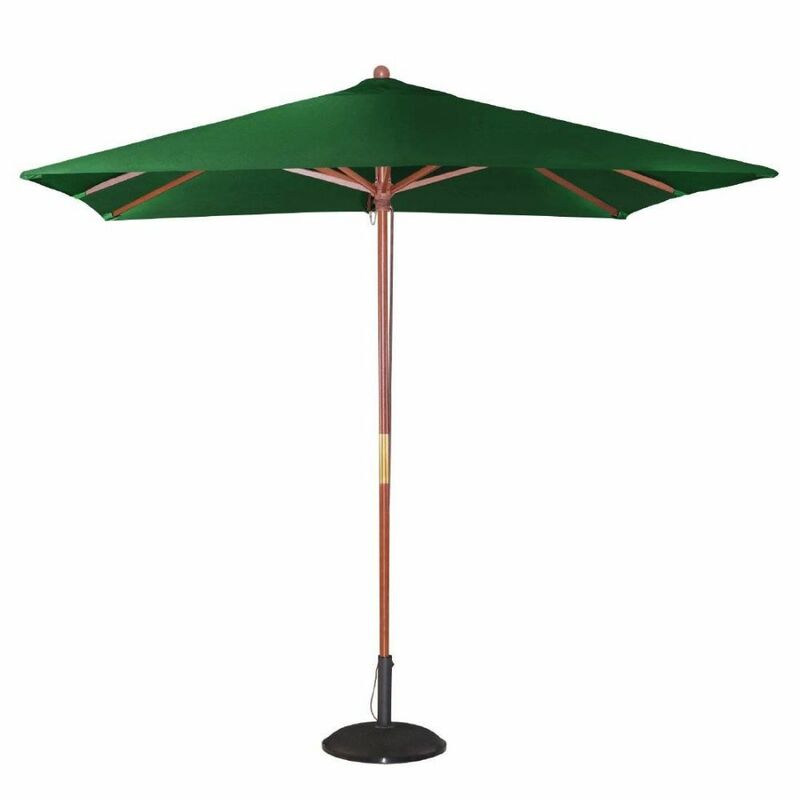 Provide shade and protection for customers with this attractive, practical, green coloured parasol, which is great for patios, beer gardens and general outdoor use. Easy to open and close. A heavy weighted base is available (CD213 - sold separately) to help stabilise. This parasol has a double pulley system, and is 2.73m high, with a diameter of 2.5m.